Is it a crime story, is it a ghost story, is it a thriller? I don’t care, it’s great. 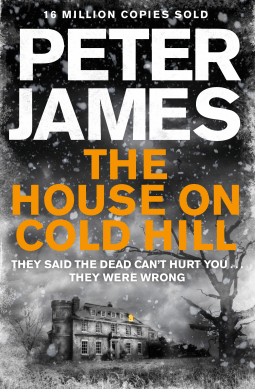 This is the first Peter James book I have read, and I loved it. It is a mystery about a family moving to a new house in the country, then everything starts to go wrong. Have they just bought the wrong house? Bad luck? Co-incidences? Or is someone attacking them, and why? As the oddities become more frequent, Ollie becomes more frantic as the house crumbles, his new business clients are sabotaged, and he fears for his wife and daughter. The tension is handled brilliantly, the first quarter of the book is a slow build as we get to know the family and the house, after that the screw is turned relentlessly. James is a skilled storyteller. After finishing reading this novel, I discovered that Peter James used his own experience of living in a haunted house. This shows on every page, the things that happen in the house, Ollie’s reactions, the understandable belief that ‘this is not real’. Peter James’ novels are published in 36 languages. To find out more, click here for his website.